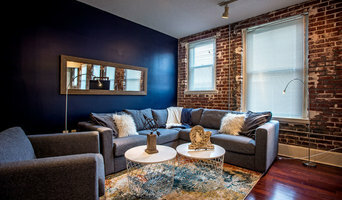 Murphy Maude Interiors is a full service design and decor firm lead by Owner and Creative Director Leslie Murphy. Our team includes a Construction Design Consultant, a Design Assistant, and a Business Manager. This small team allows us to remain cost effective, creative and nimble. Design is not just our craft, but also our passion. We seek to explore beyond traditional notions of design and art pushing beyond the boundaries of the expected. We create beautiful and functional spaces within a reasonable budget. We separate ourselves in part by sourcing unique design elements internationally and incorporating original art into our projects.The breadth of our work ranges from one piece of custom art to the design or renovation of an entire home.Everyone deserves a bit of luxe in their lives regardless of budget. Murphy Maude aims to bring the luxury of bespoke design, the intrigue of original art, and the pleasure of objects d'art into everyday life. Color Choice Interiors serves the Greater Memphis Area for Interior Design as well as National E-Design Services! Color Choice prides itself by putting passion in every detail! Call today and schedule your personal consultation! Michael Taylor Interiors offers design services from concept to completion. Something as simple as picking a paint color for a room, or helping you to achieve a new look by redesigning one room or your entire house! Renovating a house, to building your dream home... Michael is a Certified Home Stager since 2001. If you are trying to sell your home, it should not list it without having it Professionally Staged. Don't trust your realtor on this, hire a professional. A simple consultation and you do the work or my team can come in and do the work for you. Staging is a proven marketing technique to prepare your home for selling to appeal to the masses and possibly bring you more money than you are asking! 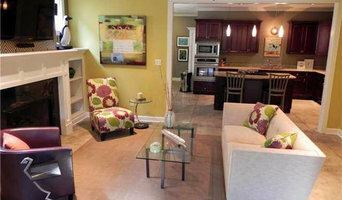 Many of my staged homes are purchased by the first person who comes to see them. Michael is a 4 yr past president of the Interior Design Society of Memphis and member of the International Association of Home Staging Professionals. Domus Interiors & Design is a full service design firm that creates beautiful interiors that are functional, luxurious and ultimately your own. We are committed to fulfilling your vision of your space that is comfortable and practical. With and eye for detail and a sharp sense of style, it our passion to create spaces that reflect our clients individual personality and lifestyle. Ami Austin, nationally recognized for her award winning designs, featured speaker and noted Interior Designer, has attracted the attention of the press as well as many affluent homeowners and business in Memphis and around the country for her style and well planned comfortable spaces for clients. Ami Austin Interior Design offers a full complement of design services and space planning. Ami Austin is an associate member of IDS, past Tennessee president RESA, past state ambassador, I.R.I.S., and a Member of the Better Business Bureau with an “A +” rating. I have always said, 'dream the dream.' My clients have dreams of making their homes beautiful. My mission is to make their dream a reality which exceeds everything they ever imagined. With focus, decisiveness and more than 25 years of experience, I develop a comprehensive plan to provide a seamless integration of all the elements desired. This results in a logical process that allows the entire project to run smoothly while preventing costly mistakes. While I am committed to meeting the functional needs of my client, I ask them to step out of their comfort zone, and with a trusting heart, be willing to expect more. I use fabrics, finishes, and colors in ways not usually seen in average design. The result is a unique design with timeless style. I am passionate about designing for my clients. Together we take an emotional journey and the rewards are extraordinary. Tim Deck and Kevin Barnard met in Memphis, TN and created Barnard & Deck in 2014 in an effort to fuel their inner passion and share their talents with others. A unique and upscale look at reasonable prices is their objective. Good design should not be expensive, nor does it always need to be custom (although we gladly provide those services). Good design comes from a personalized blend of furniture and objects that display functionality, visual interest, and the clients' personality. Tim Deck joined one of the most successful interior designers in the area and quickly took to his passion. His design work was even featured in the Austin Parade of Home where it was met with adulation and awards. After four years in Austin, Tim returned to his Missouri roots where he opened a retail shop and florist. This enabled him to continue his pursuit of design and expand his talents into floral design. Tim grew this business for eleven years until he moved to Nashville. Kevin Barnard had an extensive background in retail, but a strong passion for interior decorating and design. He took an opportunity with Restoration Hardware where he remained for several years creating the visual design, layouts, and vignettes for stores throughout middle America. This position led him to Eddie Bauer Home. Kevin is now an Associate Member of ASID (American Society of Interior Designers). His work has been featured in RSVP magazine, Memphis downtown home tour, and HarborTown Secret Garden Tour. Tim Deck and Kevin Barnard met up in Memphis, TN and created Barnard & Deck in 2014 in an effort to fuel their inner passion and share their talents with others. A unique and upscale look at reasonable prices is their objective. Good design should not be expensive, nor does it always need to be custom (although we gladly provide those services). Good design comes from a personalized blend of furniture and objects that display functionality, visual interest, and the clients personality. 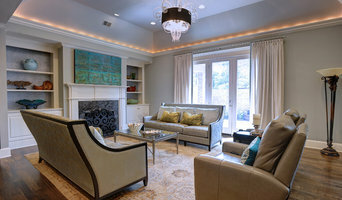 Memphis Interior Designer Providing Custom Design for the Individual and the Home. Specializes in custom soft goods to brighten and complete your whole house. Works closely with clients to provide expert color consulting, home design, home staging, and more, creating meaningful relationships with her clients along the way. We are a full service residential design firm in Memphis, Tennessee. 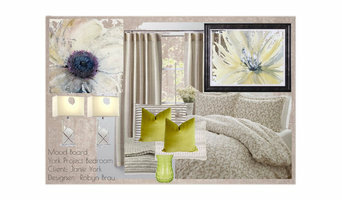 I have been an interior designer for over 20 years and "my style" is always my client's style! I have always had a passion for design - be it bridges, architecture, kitchen and baths, furniture, lighting. I am extremely blessed to have made a career out of it!. Owners and designers Lynne Catron and Valerie Sachs offer clients services from space planning, to selecting fabrics, custom furniture, art, accessories, wallpaper, paint finishes, tile, flooring and more. Fresh Perspective offers local designers a friendly supportive atmosphere and extensive "To The Trade" resource library to source all their clients custom order needs. Why settle for the showroom floor model when you can have a custom piece that perfectly defines your unique style and budget? From finding the perfect paint color, to reupholstering a sofa, to stylizing your entire home, Fresh Perspective has a service and product to fit all your specific design needs. Let Lynne & Valerie help assist you with your project today. Based in Memphis, TN, I offer services in new construction/renovation consulting, selection of finishes, cabinetry design/organization, interior decorating/styling and E-design. My aesthetic includes thoughtful and impactful use of color, texture and patterns paired with a mix of vintage and modern elements. I work diligently with clients to ensure their space is not only beautiful, but also that it provides maximum functionality to suit their specific needs. My services are offered in Memphis, TN, and beyond the Mid-South via digital collaboration with E-design. A good home design professional will hone your style down to its very essence and be able to choose a functional layout that feels natural to you. Interior design companies can be involved as much or as little as the client desires. Many clients who hire an interior decorator in Southaven, MS — particularly those who are remodeling — have a good sense of how the room should look and what products they should use. Often clients will insist that interior decorators use the products already present in the house. Other times a designer will need to start from scratch — especially if this is a newly purchased or just-built home. An interior design company will need to figure out exactly what the client needs, which includes organizing rooms, picking flooring and wall colors, and finding furniture to complement it all. Sometimes that means he or she will have to recruit help from other Southaven, MS home professionals to help create the perfect look for your renovation. Here are some related professionals and vendors to complement the work of interior designers & decorators: Architects & Building Designers, General Contractors, Home Builders, Design-Build Firms, Photographers. Do your research before meeting with an interior designer or home decorator in Southaven, MS. Ask yourself what you want your space to become and what it will be used for. Figure out the extent of what you need help with, what your must-haves are and what your budget is. Interior design services can add up fast, so be up front with a potential design firm or individual from the beginning. Also, pick an interior decorator that fits your style. Browse through the portfolios of different Southaven interior design firms and decide if you would live in those houses. Just because you like something doesn’t mean you could live in it. There's a big difference! Find an interior designer or home decorator in Southaven, MS on Houzz. Narrow your search in the Professionals section to find Southaven interior designers near you. You can also look through Southaven, MS photos to find a room you like, then contact the design firm who designed it.